Once PayPal can see your contacts, you don’t need to launch the app to send money to a contact, or request money from someone who owes you. 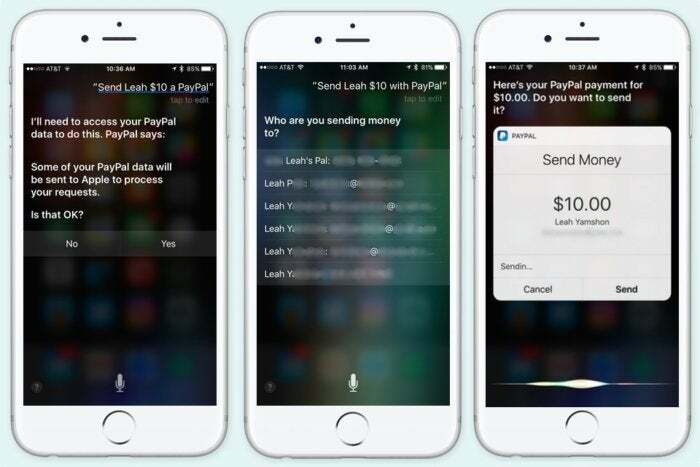 You do have to tell Siri you want to use PayPal, saying, “Send Leah $10 with PayPal,” or “Request $15 from Alex with PayPal.” The first time you use Siri for PayPal, you’ll have to authorize it one more time in the Siri interface, although this only takes a tap if you use Touch ID to authenticate your PayPal account. 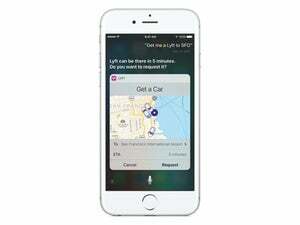 Your friends will be matched to their PayPal accounts by email address or phone number, and if there are multiple Leahs or Alexes in your contacts with PayPal accounts, Siri will ask which one you mean. Then you’ll see a card with the proposed transaction details, which you’ll confirm a final time. And don’t worry, this doesn’t work if your iPhone or iPad is locked. 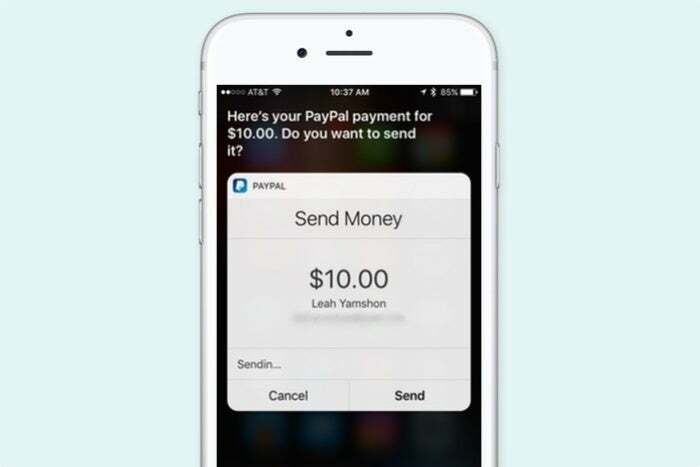 PayPal is rolling this feature out immediately to users in the United States, as well as Australia, Austria, Belgium, Brazil, Canada, China, Denmark, Finland, France, Germany, Hong Kong, India, Israel, Italy, Japan, Malaysia, Mexico, Netherlands, New Zealand, Norway, Russia, Saudi Arabia, Singapore, Spain, Sweden, Switzerland, Thailand, UK, United Arab Emirates.